Backpacking Philippines: SM Malls Holy Week Schedule: Open on Maundy Thursday, Good Friday, Black Saturday, Easter Sunday? SM Malls Holy Week Schedule: Open on Maundy Thursday, Good Friday, Black Saturday, Easter Sunday? Tutubi knows most people will leave Metro Manila during Holy Week, but this time, he won't be one of them in escaping the summer sun of the metropolis to the beach or Visita Iglesia outside Mega Manila. He intends to stay in the big city probably to drive around to enjoy traffic-free thoroughfares (except EDSA). Normal schedules of malls: Mondays to Thursdays is from 10am to 9pm and 10am to 10pm on Fridays to Sundays. Restaurants around SM Mall of Asia are open. Robinsons Galleria, Robinsons Place Malate, Robinsons Magnolia, Forum Robinsons (Pioneer) are all closed except Robinsons Tagaytay (similar to SM baguio) which is open and on regular mall hours. Ayala Malls' Trinoma, Glorietta, Greenbelt, Alabang Town Center, Fairview Terraces are all closed on Holy Thursday and Good Friday but open on Black Saturday and Easter Sunday. Bonifacio High Street will be closed on Holy Thursday and Good Friday except for some restaurants around the mall. there are also station of the cross at the Fort. Disclaimer: Some malls have different operating hours e.g. in Holyweek 2008, SM Baguio was open due to the influx of tourists and holy week vacationers to the City of Pines. It's recommended to try to call the published telephone numbers of Mall operators for the updated schedule. 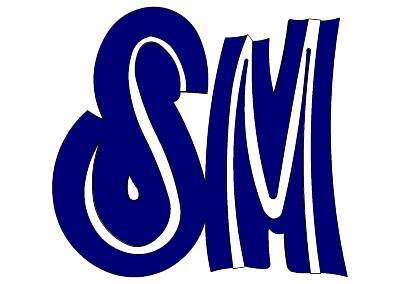 You can also try to contact the official websites of SM Prime Holdings, the Operator of SM Malls, for the official schedule for Holy Week 2014. Some SM Malls, mostly those outside Metro Manila, have free parking. Others have flat parking fee from PhP50.00 for covered parking and PhP25.00 for open parking. Note: No information on Eastwood City Mall if open during holy week. SM mall hours holy week 2015, is SM open during holy week?, SM Mall of Asia Holy Week 2015, What are SM mall hours in holy week?